Shingles is an infection of a nerve area caused by the varicella-zoster virus. It causes pain and a rash along a band of skin supplied by the affected nerve. Symptoms usually go within 2-4 weeks. 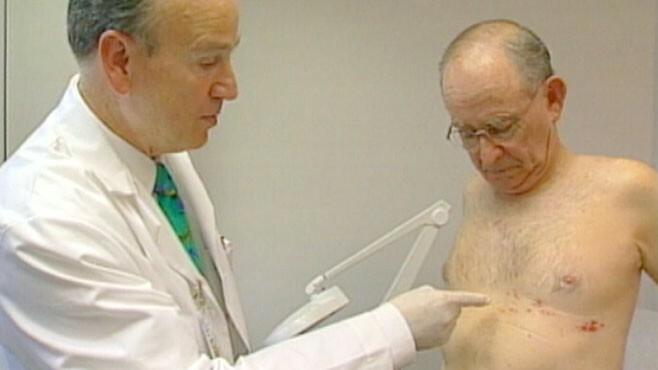 Pain sometimes persists after the rash has gone, more commonly in people over the age of 50. Other complications are uncommon. Antiviral medication may be prescribed to limit the severity of the condition. What is shingles and how common is it? About 1 in 5 people have shingles at some time in their life. It can occur at any age, but it is most common in people over the age of 50. It is uncommon to have shingles more than once, but about 1 person in 50 has shingles two or more times in their life. Most people have chickenpox at some stage (usually as a child). The virus does not completely go away after you have chickenpox. Some virus particles remain inactive in the nerve roots next to your spinal cord. They do no harm there, and cause no symptoms. For reasons that are not clear, the virus may begin to multiply again (reactivate). This is often years later. The reactivated virus travels along the nerve to the skin to cause shingles. The pain is a localized band of pain. It can be anywhere on your body, depending on which nerve is affected. The pain can range from mild to severe. You may have a constant dull, burning, or gnawing pain. In addition, or instead, you may have sharp and stabbing pains that come and go. The affected area of skin is usually tender. 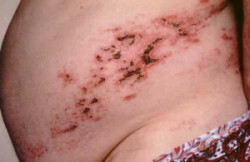 The rash typically appears 2-3 days after the pain begins. Red blotches appear that quickly develop into itchy blisters. The rash looks like chickenpox, but only appears on the band of skin supplied by the affected nerve. New blisters may appear for up to a week. The soft tissues under and around the rash may become swollen for a while due to swelling (inflammation) caused by the virus. The blisters then dry up, form scabs, and gradually fade away. Slight scarring may occur where the blisters have been. The picture above shows a scabbing rash (a few days old) of a fairly bad episode of shingles. In this person, it has affected a nerve and the skin that the nerve supplies, on the left side of the abdomen. You may also feel you have a high temperature (feel feverish) and unwell for a few days. You can catch chickenpox from someone with shingles if you have not had chickenpox before. But most adults and older children have already had chickenpox, and so are immune. You cannot get shingles from someone who has shingles. However, as a general rule, pregnant women who have not had chickenpox should avoid people with shingles. Also, if you have a poor immune system (immunosuppression), you should avoid people with shingles. hese general rules are to play safe, as it is direct contact with the rash that usually passes on the virus. Also, to play safe and not risk passing on the virus to others who may not have had chickenpox, you should not share towels, go swimming, or play contact sports such as rugby while you have a shingles rash. This is the most common complication. It is where the nerve pain (neuralgia) of shingles persists after the rash has gone. This problem is uncommon in people aged under 50. However, up to 1 in 4 people with shingles, over the age of 60, have pain that lasts more than a month. The older you are, the more likely it will occur. The pain usually eases gradually. However, in some people it lasts months, or even longer in a few cases. The chance of pain persisting is reduced with treatment. Loose-fitting cotton clothes are best to reduce irritation of the affected area of skin. Pain may be eased by cooling the affected area with ice cubes (wrapped in a plastic bag), or by having a cool bath. Some people find that putting several layers of ‘cling film’ over the affected area of skin helps. 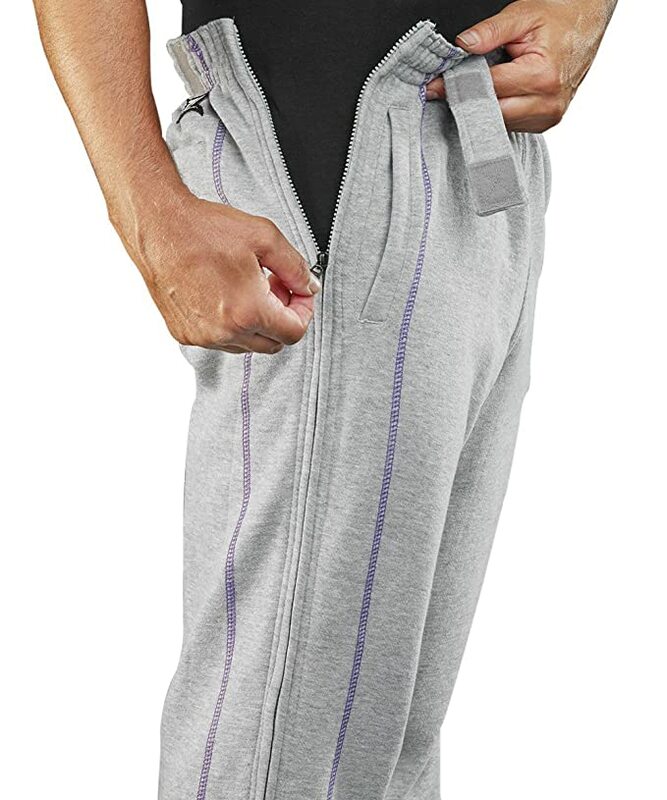 This allows clothes to slide over the skin without irritating. On a personal note, my dad suffered from shingles recently, and found that the only thing he could wear during the day or for sleep in was super soft flannel. Even the bed covers irritated him. 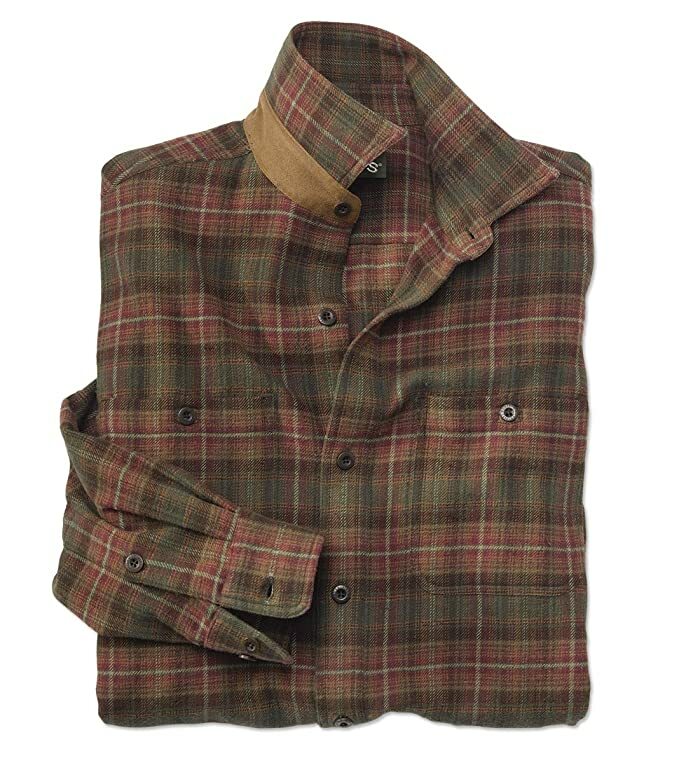 I recommend the Orvis Men’s Flannel Shirt – it is the softest shirt ever! The flannel fabric in these shirts is the softest flannel you will ever find, thick and brushed on both sides for maximum softness and comfort. Long-sleeved shirt with button-through patch pockets. Distinctive washable faux-suede trim on the outside neckband, bound buttonholes, and locker loop. Long shirttail hem stays tucked in. Pure cotton. Washable. You may have already tried traditional painkillers such as paracetamol or anti-inflammatory painkillers such as ibuprofen that you can buy from pharmacies. However, these are unlikely to ease PHN very much in most cases. An antidepressant medicine in the tricyclic group is a common treatment for PHN. Tricyclic antidepressants ease nerve pain (neuralgia) separately to their action on depression. There are several tricyclic antidepressants, but amitriptyline is the one commonly used for nerve pain. Pain is stopped, or greatly eased, in up to 8 in 10 cases of PHN treated with amitriptyline. Imipramine and nortriptyline are other tricyclic antidepressants that are sometimes used to treat PHN. A tricyclic antidepressant will usually ease the pain within a few days, but it may take 2-3 weeks. It can take several weeks before you get maximum benefit. Some people give up on their treatment too early. It is best to persevere for at least 4-6 weeks to see how well the antidepressant is working. If an antidepressant works, it is usual to take it for a further month after the pain has gone or eased. After this, the dose is gradually reduced and then stopped. You should re-start the antidepressant quickly if the pain returns. Tricyclic antidepressants sometimes cause drowsiness. This often eases in time. To try to avoid drowsiness, a low dose is usually started at first, and then built up gradually if needed. A dry mouth is another common side-effect. Frequent sips of water may help with this. REAL RELIEF you can notice within 24 Hours, and Expedited Drying of Lesions within days. Case studies conducted through MoMae’s Garden report increased pain relief and soothing comfort through the healing process from painful shingles lesions. ALL NATURAL ingredients are in this proprietary blend of essential oils and extracts. Don’t waste time with painful and ineffective over the counter remedies. Use Shingles Mist as a complement with or without your prescription medication. MoMae’s Garden All-Natural Shingles Mist provides the right blend of ingredients when you are suffering with Shingles lesions. SAFE AND PAINLESS APPLICATION. Other formulas found in lotions and creams are painful to apply to shingles lesions. Our exclusive mist-on formula can be applied effectively and pain-free! Shingles can be one of the most painful experiences of you or your loved one’s life. Add to that the fact that most remedies come in the form of a cream which must be “rubbed” on, causing further pain and irritation. 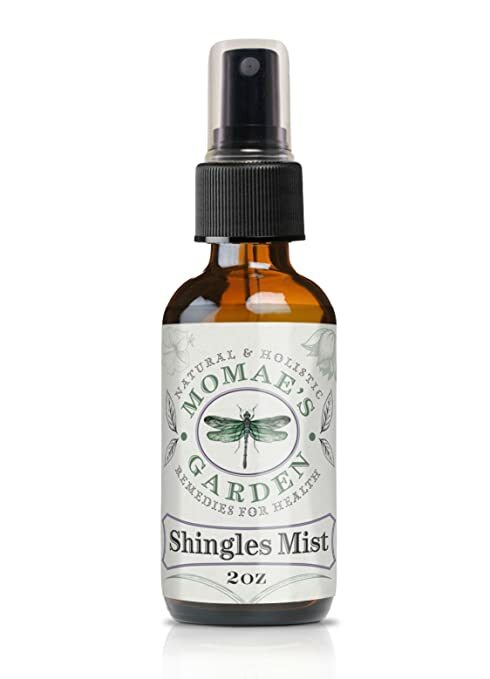 MoMae’s Garden All-Natural Shingles Mist provides real relief in a painless, spray on formula. Our Proprietary, All-Natural formula uses a perfectly blended mix of natural essential oils and extracts to soothe the pain and stinging and speed drying of the affected area. Case Studies show a dramatic improvement after just 1 day of use, and a significant reduction in the overall healing time for the shingles-affected lesions. This premium product is not available in retail stores or pharmacies. 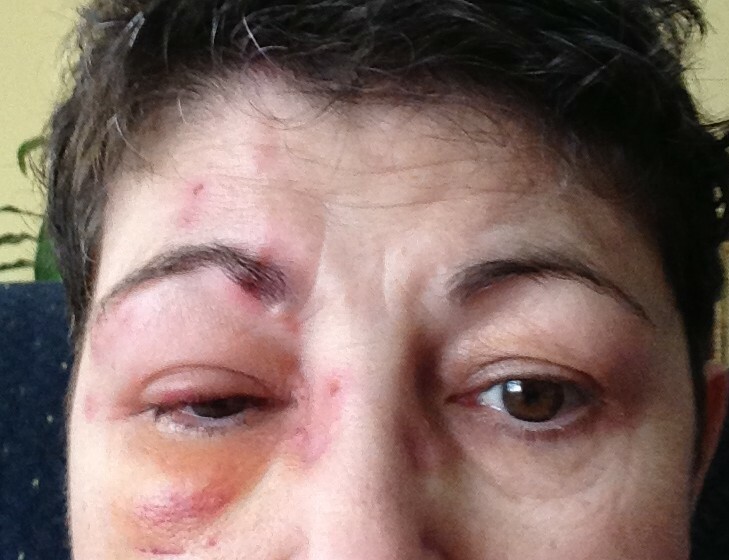 Shingles of the eye can cause swelling (inflammation) of the front of the eye. In severe cases it can lead to inflammation of the whole of the eye which may cause loss of vision. There’s a vaccine that may help prevent shingles or make it less painful if you do get it. The shingles vaccine is known as Zostavax. It is recommended for adults ages 60 and older, whether or not they’ve had shingles before. You can ask your doctor or pharmacist about getting the vaccine at age 50 to 59 instead. If you have never had chickenpox, you may avoid getting the virus that causes both chickenpox and later shingles by receiving the varicella vaccine.If you have never had chickenpox and have never gotten the chickenpox vaccine, avoid contact with people who have shingles or chickenpox. Fluid from shingles blisters is contagious and can cause chickenpox (but not shingles) in people who have never had chickenpox and who have never gotten the chickenpox vaccine. Shingles is a painful virus which can develop in anyone who has had chickenpox. Be aware of the early symptoms of shingles, which include headache, sensitivity to light, and flu-like symptoms without a fever. You may then feel itching, tingling, or pain where a band, strip, or small area of rash may appear several days or weeks later. A rash can appear anywhere on the body but will be on only one side of the body, the left or right. If you suspect you are developing shingles, see your doctor right away, as early medical treatment can help lessen the duration and severity of the virus. Have you or someone you care for had experience with shingles? Please share your tips and experience.